For Spring 2016 Speed & Strength brings us gloves that have style, function, and most importantly, sweet naming conventions. The “Power and the Glory” and “Gridlock” are entry level gloves aimed at riders willing to step into the realm of motorcycle protective gear as well as add a bit of fashion to their everyday riding gear. The Speed and Strength Power and the Glory Gloves are a lightweight combination of leather and mesh best suited for warm to hot weather riding. 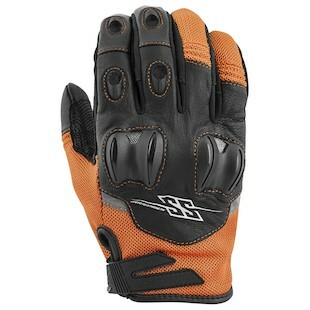 With a palm constructed entirely of Goatskin with palm reinforcement panels the power of tactile feedback is sure to be provided to the rider who wishes to experience the glory that is the Power and the Glory Gloves. On the back of the glove polyester mesh panels will provide a significant amount of airflow while a TPU hard knuckle with direct ventilation provides adequate protection to any street rider or the potential dirt rider looking for a beefed up offroad glove. Did I mention that they are available in seven different colorways? Low profile, fashionable, protective. These are all words that can be used to describe the Speed and Strength Gridlock Denim Gloves. If you’re a fan of Denim or want to tone down the appearance of a more aggressive sport glove, the Gridlocks are your answer. 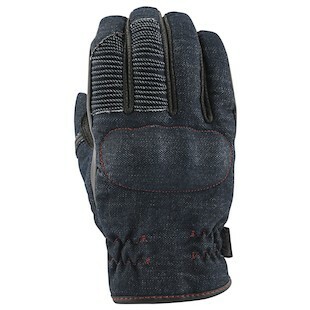 With an outer shell constructed completely of denim and a Goatskin Leather Palm, these gloves offer decent protection in a black or indigo denim package. The hard plastic knuckles are located under the denim to streamline the style of the glove and the accordion stretch is sure to offer added comfort as you reach for your controls. The Power and the Glory as well as the Gridlock Gloves are two great additions to the Speed & Strength lineup. From sport and dirt riders to cafe and cruiser commuters, both gloves offer protective options motorcyclists looking to step into a pair of gloves that will be more protective than skin and cloth but will not break the bank or sacrifice casual styling.